Detroit is sustained by outside contributions, but it wastes them. The first article in this series pointed out that the spread of modern weapons such as AK-47's and rocket-propelled grenades (RPGs) has made it all but impossible for an external conqueror to take over a failed nation and put it right. 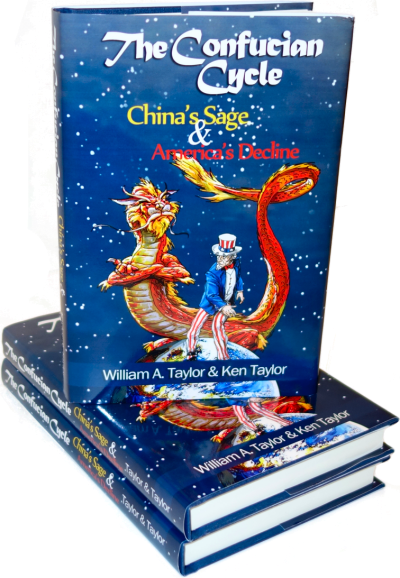 The Chinese experience in Tibet and the American misadventures in Somalia and in Afghanistan suggest that the age of failed states being straightened out via external conquest has ended, at least for a time. The second article pointed out that in the past, a colony couldn't succeed without either converting whomever was already there or simply getting rid of them. This article explores further ramifications of the historical necessity of clearing the area of natives as a necessary first step in planting a prosperous, peaceful society. We previously saw that invasion makes a profit overall only if the invaders are willing to wipe out any of the original inhabitants who won't or can't get with their program well enough to keep order and pay taxes. The Romans offered conquered people a choice - be nice and pay taxes, or die. In some places, the natives became Romans in short order; in other places, they were massacred and new citizens were moved in to populate the now-empty land. Either way, Roman colonies always paid a profit into the treasury; the Romans were sensible enough not to occupy lands where they couldn't make a profit. The Roman empire collapsed when government expenditures grew too large for the empire to support the army. The lesson of ethic cleansing being a necessary prelude to a successful colonization leads to some disagreeable conclusions, particularly with respect to the numerous "failed states" which are beginning to emerge in the United States. It's been clear for quite some time that states such as California, New York, and New Jersey have promised far more money in pay and pensions to the state employee unions than they can ever pay, particularly since just about all the states are supposed to balance their budgets each year. Hand-wringing about these "failed states" tends sometimes to divert attention from what's going on in certain cities within the failed states. Although Michigan doesn't get as much publicity as California or New York, it's crossed a line of a sort in that there are more unionized state and local employees in Michigan than unionized private sector workers. Hidden among all the state-wide problems of rising taxes, falling government revenue, and state employees wanting raises despite the down economy, we have the festering problem of Detroit. The City of Detroit spawned the American automobile business a bit over 100 years ago. The city had access to the Great Lakes which made it cheap to ship in raw materials. Detroit also had a thriving industry manufacturing carts and wagons, which had resulted in a high population of skilled manual workers who knew how to build wheeled vehicles. The city prospered with the explosive growth of automobile companies, but has now fallen to the same greed that has brought GM and Chrysler to the point of needing federal bailouts in order to survive. As the UAW forced labor costs higher than the costs incurred by foreign manufacturers who settled in the anti-union South, the Big Three lost market share and shed workers. Fewer workers meant fewer taxpaying residents of Detroit; the city has lost nearly a million inhabitants since the 1950's. Violence and arson made things worse. Detroit had always had a tradition of "Devil's Night" when young people engaged in minor acts of vandalism such as throwing toilet paper or soaping windows. In the 1970's, however, the traditional minor mischief escalated to arson. People who were unable to sell their homes in the declining market would torch their houses on Halloween, blame the vandals, and collect the insurance money. Their example led young people to escalate their former benign vandalism to the point that the Washington Post reported more than 800 fires set in 1984 and said that between 500 and 800 fires were set in the three days and nights before a typical Halloween. Starting in the mid nineties, the city brought the waves of arson under control by organizing neighborhood patrols of up to 50,000 volunteers and enforcing a youth curfew, but by that time many residents had fled, leaving large parts of the city essentially empty of inhabitants. Most of the early leavers were white, partly because they could better afford to leave and partly because they were perceived as more lucrative targets for robbery. Our mainstream media refused to even consider the increasing Detroit crime level as a factor in their deciding to depart and instead accused participants in "white flight" of racism, which didn't make anyone feel good about the city. Recently, a new turning point has been reached. With very few professional whites left in the city, the Wall Street Journal reports that black professionals whom the city can't afford to lose are leaving even if it means abandoning homes they can't sell. The Journal tells the sad tale of Johnette Barham, a highly-paid professional women who bought a home and a rental unit. Her rental unit was occupied less than 12 months during the five years before she had to let it go into foreclosure. Finally, on top of 10 burglaries and break-ins in 7 years, someone torched her house, burned her watchdog to death, and destroyed nearly everything she owned. She walked away. "The folks with the wherewithal to leave, the folks with the jobs. those are the people that have the ability to exercise voting with your feet," says David Martin, a professor of public policy at Wayne State University in Detroit. Detroit wasn't destroyed by a war so the telephone lines, water mains, streets, and other infrastructure are more or less in place, but the city can't afford to maintain them. As population has dropped, entire blocks have become vacant. As more and more people who earn money leave, the city has less and less money to spend on maintenance or on keeping the peace. Welfare recipients can't afford to leave, so those costs keep going up. The Detroit scene elicits poignant memories for me. I was associated with the automobile business off and on from the mid 1980's until around 2005 and flew in and out of the city many times. At first, I noticed that the grass in the median strips wasn't being mowed, then I saw the highways deteriorating and potholes accumulating as infrastructure couldn't be maintained any more. Our firm participated several times in an annual auto industry trade show in Cobo Hall, which was downtown near the waterfront. As my boss was walking from a restaurant back to the hall, he noticed that a pair of cops were pacing him on the other side of the street. When he crossed and asked them what they were doing, they told him that they wanted to make sure he got back to the hall safely; having a tourist's corpse appear on the evening news would be bad for business. We stopped going out at night. We found we couldn't afford to have booths at the auto technology shows - the unions who ran Cobo hall charged us $50 to plug in a lamp. Charges went up from there for more exotic services such as hanging our posters on the partitions we'd brought. When I first attended a show, it was held every year and took two floors of Cobo hall. The last time I was there, the show took up only half a floor and was held in Chicago every other year. Excess costs had driven away 7/8ths of the business, but the unions were oblivious - the few electricians who were willing to talk about it with me simply shrugged. None of the plants where I worked were in the inner city. Nobody I knew ever went downtown at night so I didn't experience Devil's Night firsthand, but I certainly read a great deal about arson in the weeks leading up to Halloween. The John King bookstore near Cobo Hall was one of the oddest sights in Detroit. The first time I visited, I saw razor wire on all the fences around the parking lot. Razor wire on a bookstore! I was told that they'd had only 2 or 3 burglaries and the thieves had dropped the stolen books within a block or two, but the real problem was vandals breaking in and trashing the shelves to no benefit for themselves but immense cost to the proprietors. It took years of close cooperation between unions, management, and all levels of government to ruin the Detroit money machine, but they finally managed it. Now two of the three native car companies and the city of Detroit are wards of government. The money they drain from the national economy makes the rest of the country less likely to succeed. Much as Somalia lives on the ransoms its pirates extract from the owners of captive ships who earn money far away from Somalia, the only reason Detroit continues to exist at all is massive subsidies of its welfare recipients and other non-earners from outside state and federal governments. Somali pirates have to risk their lives and take a fair amount of initiative to extract ransom; this makes them want to spend their money carefully. Detroit gets money from pure entitlement and political manipulation so nobody cares much about how or where it goes. Even this unearned cash flow from government largess isn't enough to keep Detroit alive. One reason Ms. Barham was burglarized so often is that the city police force is short 700 officers. The officers they have focus on murder and other violent crimes so Detroit has become a burglar's paradise - at least, as long as there's anything left to burgle. Like the unions at Eastern Airlines who demanded "Full pay until the last day," the Detroit police won't take a pay cut to bring their numbers up to the point where they might be able to focus on crimes less serious than murder. Citizens who experience enough muggings, burglaries, and arson, abandon their homes and move out forever, which cuts city income even further and leaves the cops more shorthanded. "All of that is kind of intertwined," says Detroit Mayor Dave Bing, a former pro basketball star and local businessman brought into office last year by an election that pushed out most of the city's old leadership. "The first stage that we want to focus on is to keep those people that are here. and then create the right type of environment that will bring those kinds of people back." Mr. Bing has seen several friends leave town. Like Somalia, Detroit is supported by outside contributions, but the pirates spend their loot much more carefully than Detroit spends its allotment of taxpayer money. The Somalis spend their ill-gotten gains on investments in cell phones and other items that make life more comfortable and might earn future income, Detroit spends its handouts supporting welfare recipients who'll never produce anything of value or on propping up their failing school system. The final article in this series discusses some signs of hope in both Somalia and Detroit. Yes, there is hope - if only the inhabitants, or somebody else, can take advantage of it.